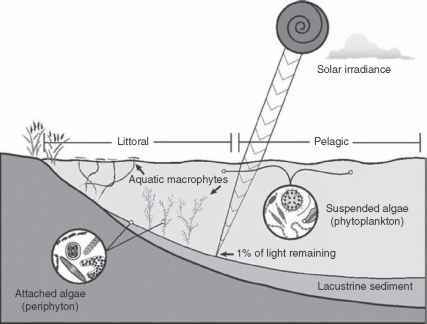 Figure 14.3. 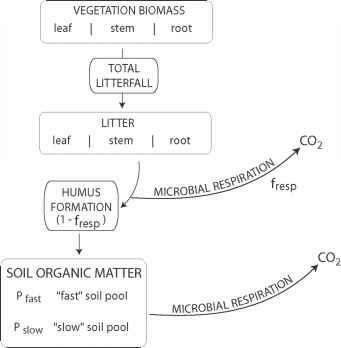 A highly simplified model of the terrestrial carbon cycle. Here carbon flows from the atmosphere into terrestrial vegetation, then into litter and soil organic matter. Along the way, carbon is lost back to the atmosphere through microbial respiration (or decomposition) of litter and soil organic materials. Adapted from Foley (1995). where C^ is the carbon content of the litter pools (dead leaves, dead roots, and dead wood) and T is the average residence time of carbon in litter.